This is the true story of a twenty-year friendship between the author (a Venetian nobleman) and the famous art collector Peggy Guggenheim. Paolo Barozzi recounts the great lady's life, and the reader learns not only about her invaluable collection, but also her relationships with the greatest artists and writers of the time: Tennessee Williams, Truman Capote, Marcel Duchamp, Andy Warhol, and Robert Rauschenberg. 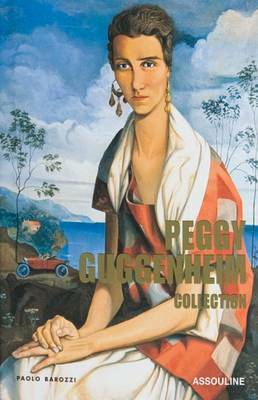 Recreating the enchanting atmosphere of the Palazzo Venier dei Leoni on the Grand Canal, Peggy Guggenheim is an homage to the extraordinary woman who became an incarnation of Venice.